A label change to ondansetron (Zofran) after a clinical study suggested that a 32-mg single intravenous dose may cause QT interval prolongation. The updated label will state that ondansetron can continue to be used in adults and children with chemotherapy-induced nausea and vomiting at the lower intravenous dose recommended in the drug label, 0.15 mg/kg administered every four hours for three doses; however, no single intravenous dose should exceed 16 mg.
A recall and software update of the FLOW-i Anesthesia Systems. If the MAN/AUTO switch was not fully engaged in an ON or OFF position, but rather was placed in an in-between position for more than five seconds, a technical alarm may have been generated. Lorcaserin hydrochloride (Belviq), for chronic weight management in adults with a body mass index (BMI) of 30 kg/m2 or greater, or adults with a BMI of 27 kg/m2 or greater who have at least one weight-related condition such as hypertension, type 2 diabetes, or dyslipidemia. Safety and efficacy were evaluated in three trials of nearly 8,000 obese and overweight patients who received a reduced-calorie diet and exercise counseling. Compared with placebo, treatment for up to one year was associated with average weight loss of 3% to 3.7%. The most common side effects are headache, dizziness, fatigue, nausea, dry mouth and constipation in non-diabetic patients and hypoglycemia, headache, back pain, cough and fatigue in diabetic patients. The drug activates the serotonin C receptor and should not be used during pregnancy. Treatment may cause serious side effects, including serotonin syndrome. 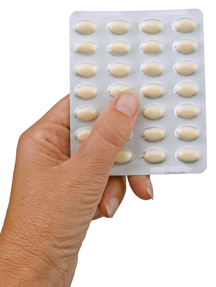 Mirabegron (Myrbetriq), to treat overactive bladder. The extended-release tablet is taken once daily and improves the storage capacity of the bladder. 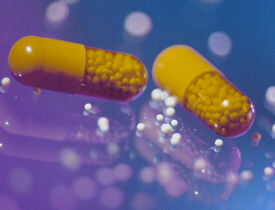 Safety and efficacy were demonstrated in three trials with more than 4,000 patients taking doses of 25 mg, 50 mg, 100 mg or a placebo. The 25-mg and 50-mg doses effectively reduced the number of times a patient urinated and the number of wetting accidents. The most common side effects were increased blood pressure, nasopharyngitis, urinary tract infection, constipation, fatigue, tachycardia and abdominal pain. Mirabegron is not recommended for patients with severe uncontrolled high blood pressure, end-stage kidney disease or severe liver impairment. The OraQuick In-Home HIV test, the first over-the-counter, self-administered HIV test to detect the presence of HIV type 1 and 2. The test uses a mouth swab and gives results in 20 to 40 minutes. In a clinical trial, 99.9% of about 5,000 HIV-negative participants had a true-negative test result, with only one false-positive. Among HIV-positive trial participants, 91.7% of those tested (88 out of 96 people) reported a correct test result and eight had false-negatives. About 1% of study subjects failed to obtain a test result. The COBAS AmpliPrep/COBAS TaqMan CMV Test, the first DNA test to gauge the progress of antiviral treatment in organ transplant patients undergoing cytomegalovirus (CMV) antiviral therapy. Approval was based on a study of frozen plasma samples from 211 kidney transplant patients with confirmed CMV. The test is not approved for use as a screening test for blood or blood products or as a diagnostic test for CMV. Before switching to the new test, clinicians should understand how the test method and results may differ from test methods and results currently used.